The Berlin-based magazine and apparel brand 032c has joined forces with BIRKENSTOCK to add their unique spin to a BIRKENSTOCK classic. 032c is a leading fashion, art, and culture platform that publishes digitally and in print, with a manual for freedom, research, and creativity appearing twice annually. Their workshop in Berlin-Kreuzberg is a production and research center, and the design headquarters for their 032c Apparel and Ready-to-Wear lines. Founded in Berlin in 2000, 032c magazine is edited by Joerg Koch and art directed by Mike Meiré. 032c Apparel is creative directed by Maria Koch. BIRKENSTOCK x 032c is a footwear collaboration made for life on the melting terrain of the digital age, balancing the line between universal functionality and individualized form. 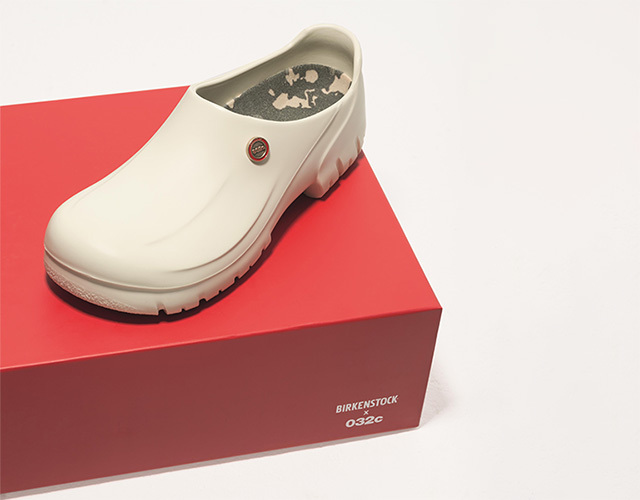 Incorporating BIRKENSTOCK's fabled orthopedic designs, which adapt to the needs of the wearer, 032c has customized the brand’s unisex Super Birki clog – a polyurethane exercise in extreme versatility, designed to withstand the heat of modern industrial and subcultural conditions, day and night, at work and at play. "Birkenstock is our partner with the magazine already and I've worn them since forever. As for all Germans it's been part of my childhood. Collaborating with them is an exciting step for the 032c brand." The key visual shows 032c Fashion Director Marc Goehring with 032c’s Nunguja Kisalya wearing and embracing the collaboration, in photos shot by Christian Werner. 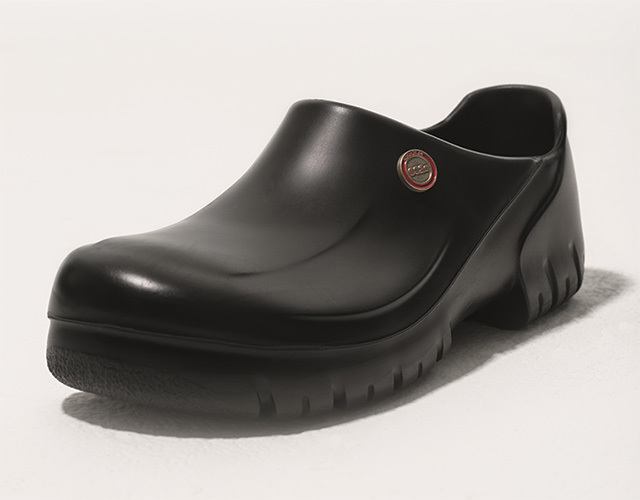 An iconic BIRKENSTOCK Professional style, subtly subverted for a new design. Available in black and white, the BIRKENSTOCK x 032c limited edition comes with a choice of two classic insteps - one shearling, the other an elegant camouflage designed exclusively for the series - features a gold and red ‘Société de 032c’ button on each shoe.